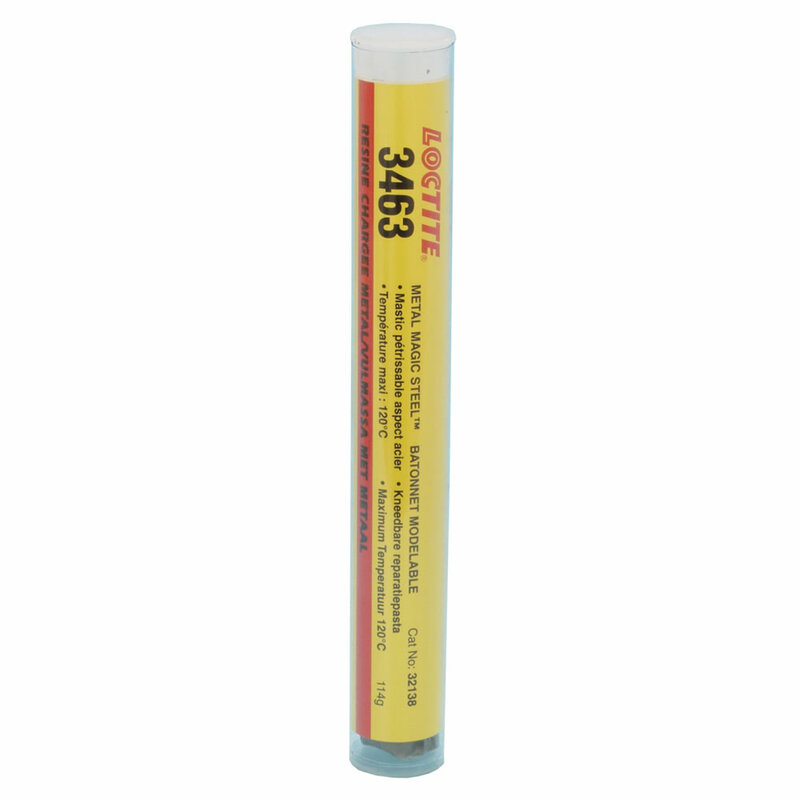 LOCTITE EA 3463 - Metal filled Compound - Metal Steel Stick. Structural Bonding - 2-component epoxy. Steel-filled kneadable stick for emergency repair. 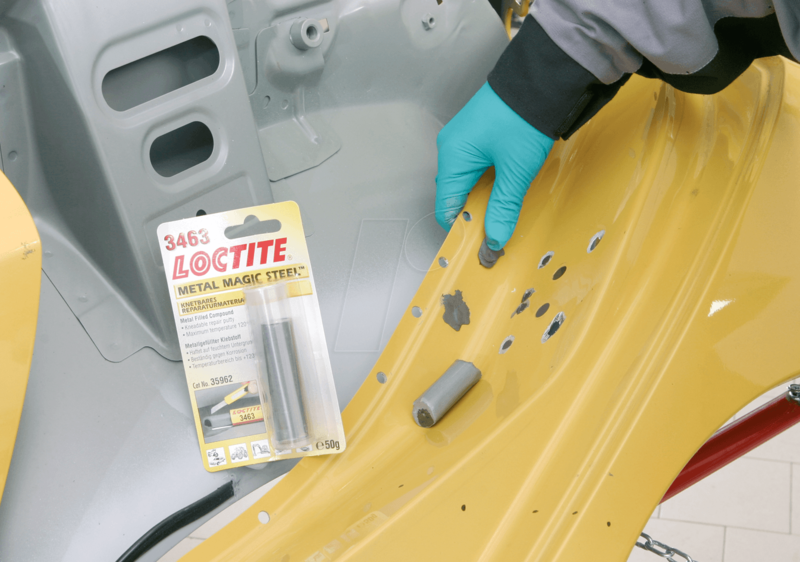 LOCTITE 3463 is a versatile, dual component, easy to use, steel-filled epoxy repair putty. It is applied like a putty and when cured it exhibits high compressive strength and good adhesion to most surfaces. This product stops leaks in pipes and tanks, fills oversized bolt holes, smoothes welds, and repairs non-structural defects in castings or holes in tanks. This product is typically used in applications with an operating temperature range of -30 °C to +120 °C.